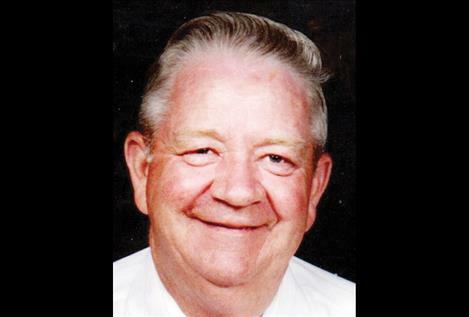 POLSON — James (Jim) Hayes, 88, passed away in his sleep, Sunday, Sept. 2, 2018 at Polson Health and Rehab., in Polson. Jim was born on June 26, 1930, to Ralph and Ellen (Harlan) Hayes in Polson, the second oldest of four children. Jim was raised for several years in Elmo, as his father logged for a living, and his mother worked at the store that they owned until it went “belly up,” as his sister, Deann said. While living in Elmo, his older brother, George, tragically died at the age of 7 from pneumonia. After the store closed, the family moved into Polson. Jim graduated from Polson High School, making great friends for a lifetime, one of those being Dell McManus. Jim and Dell were both in the trucking business their entire lives. He often told the story about the two of them having a great idea to transport a semiload of Christmas trees to Fairbanks, Alaska. This was one of their “get rich plans.” Needless to say, it was a mighty long and cold trip, and it didn’t pan out for either one of them, so they abruptly turned around and came back home. Jim served in the Korean War, or the war from hell, as he called it. While in Korea he received a commendation ribbon with a medal pendant for serving as Chief of Radio Section, for his exceptional ability to maintain radio communication at all times and for demonstrating outstanding knowledge of the system. He was discharged from the Army in 1953. Jim married Ramona Paul in Great Falls after he got out of the service. To this marriage a daughter, Terry Lynn, was born. The couple soon divorced. A few years later Dad married a girl he had his eye on while in high school, Naomi Milner. Naomi had three children from a previous marriage, Cynthia, Alan and Denise. With this marriage, a new family was formed. Jim worked tirelessly to help support his family and give us the best that he could. He missed many of our school activities because of the demand to be on the road, leaving Naomi to manage all of us kids, hold down a full time job, and keep her sanity during it all. We have often said that Jim was a man of nine lives. He survived cancer after having major surgery at a young age. He survived several heart attacks. He survived a horrific wreck in his semi, which killed a pregnant young woman after she lost control of her vehicle and hit him head on. Years after the accident he was diagnosed with PTSD, re-living the wreck for the rest of his life. When Jim fell down the stairs at his home backwards and head first, landing on the basement floor, that finally took a toll on him. He was no longer able to care for himself due to the head injury, and lived out the remainder of his life at Polson Health and Rehab. Thanks so much to the staff for caring for our Dad. Thanks for keeping him in a room with a beautiful view of the Mission Mountains that he loved so much. Jim was a man that had his favorites. To those favorites, he had this to say in the end: “They took all my money and now they are not going to come and tell me goodbye before I die.” Shame on them. Jim is survived by his daughters, Terry (Phil) Lamping, Denise (Cliff) Willis, Cyndy Nelson; his son, Alan (Jackie Smart) Fryslie; grandchildren, Chris (Tiff) Lamping, Jory Lamping, Brandon Lamping, Krista Nelson, Jeff Bradley, Jim Bradley, Scott Hayes, Corey Fryslie, Ethan Fryslie, Devon Fryslie, Nicole (Geoffrey) Herman, and Jennifer Fryslie; along with several great-grandchildren and two great great-grandchildren. Dad is also survived by his sister Deann Murray; brothers-in-law, Clao (Peggy) Milner, Merle (Carol) Milner and several nieces and nephews. Dad was preceded in death by his wife, Naomi; his parents; his brother, George; his sister, Shirley; and his sisterin- law, Burleen. Funeral services will be held on Wednesday, Sept. 12, at the Lake Funeral Home in Polson at 1 p.m. with Pastor Merle Milner officiating. Burial will follow at Lakeview Cemetery. Memorials may be made to Life Savers Animal Rescue, PO Box 643, Polson, MT 59860, or the charity of your choice. The Lake Funeral Home and Crematory, Polson, is assisting the Hayes family with arrangements.